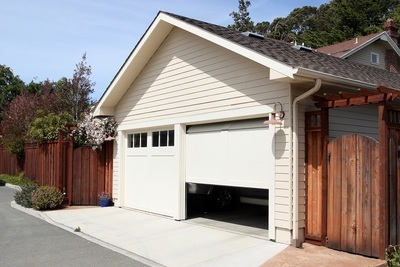 Single car garage plans are garages which are designed in a detached form so that the automobiles can be protected and given shelter from harmful elements. Some of the single car garages have the facility of built-in workbenches, half baths, storage lofts and closets. The single car garages help in keeping a car and also to increase the beauty of one’s house. 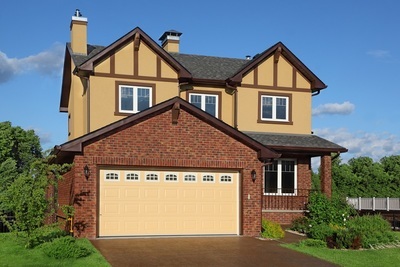 Various designs are there for single car garage, but you have to choose them wisely so that it suits your house better. 1. Safety of the car from natural elements - If you are having only one car that needs to be maintained and protected, then you can go for a single car garage. This will be most likely a standout and no matter what- rain, snow, and wind may come in, it can provide safety from all these natural elements. Natural elements can be dangerous and can cause significant damage to the car, so, the first and foremost thing that you need is single car garage to protect your car from these elements. **2.Protects from scratches from different vehicles and elements -. The chances of dents, scratches and broken windows are high if the vehicle is left outdoors. You can protect your vehicles from all of these by keeping it inside the garage. 3. Protects from sun and temperature extremes - UV rays from the sun could harm a vehicle in many ways, which car owners usually do not think about. Apart from the rays, extreme hot and cold weather can also lead to deterioration of the inside and outside of the vehicle. If the vehicle is in the constant shed, it will stay protected from the UV rays and extreme temperature. 4. Keep the individuals riding in the vehicle protected from elements - It keeps a person safe from hail, temperature extremes, then other conditions. Therefore, it becomes from important to have your car parked safely in the garage. 5. Protection from theft/robbery - Buying an automobile is a huge investment and is one of the most valuable items of possession for many. A car parked outdoors is open to vandalism and robbery. So, having a garage means eliminating any risk of robbery, theft, and damage. 6. Low expenses - As the cars are kept with proper care and maintenance inside a garage, it can help you save money. One need not invest more while servicing. It can be all done at a very minimal cost. This can be a very big advantage for those who want to spend less and save more money. 7. Great looks - The vehicle that is kept in garage regularly will look great and stay in good condition for long. Even if it is parked with several other cars, it will never forget to cast its impression. Well maintained cars will also provide greater resale values. 8. Longevity of components - When the car is kept protected in a garage, all the parts and components will remain in a good condition and even work well. The longevity of the car’s life depends on the engine. If the car is kept in the garage, the vehicle will stay warm and the engine will stay lubricated always. 9. Coolant stays warmer and heat/AC faster - Due to sunlight, the coolant and heat air conditioner does not work well. So, if you park your vehicle in the garage, the coolant and air conditioner will work better. 10. Visibility - The cars that are parked constantly in garages will help in better visibility, as it will keep the windows clear.